Friday, June 29th, 6pm-9pm: Intros and software installation (REQUIRED). We help you get set up and check your system to ensure you're ready to go. PLEASE plan on being there for at least two hours. Things can sometimes go NOT as planned. If you have already attended several workshops and are familiar with the install and curriculum, won't you please consider volunteering? We can always use people for check in, logistics and to help teach. We'll meet up on Friday for introductions and to install all of the software you need and get you checked off as ready to Rock on Rails! Then we spend Saturday really getting into the meat of the curriculum. Total programming novices, system administrators, developers in other languages, and folks who attended our previous workshops are all welcome. We'll have different classes separated by experience level. 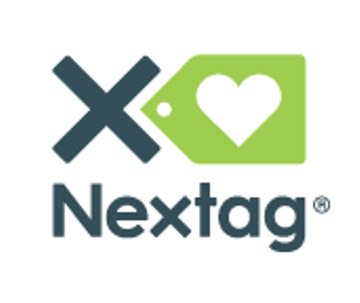 NexTag.com has been so generous to provide pizza Friday evening, and breakfast and lunch on Saturday. Vegetarian options will be available. If you have special dietary requirements, please let us know on the Registration Form linked below. 2) If you have a Mac, you must install Xcode on your laptop before coming to the first part of the workshop on Friday, June 29. (Xcode is the software that creates a coding environment for you to build your app.) Xcode is a very large file that takes 2-3 hours to download, and only one the first step in a more involved setup process. **If you need help, please contact Bill or Mary no later than Tuesday 6/26 at 5 pm! When you have it completed, please add the words "XCode Complete" to your RSVP. If you do not do this you could be dropped! If you do not have a mac, you do not need to do this--please simply add your OS to your meetup RSVP. 3) Fill out the Registration Form, which will provide us with details about your operating system, the type and level of programming experience you have, and whether you will need childcare. (This info helps us create a workshop that meets your needs.) You must fill out the Registration Form before 5pm on Tuesday 6/26. If you have questions or ideas for us, please get in touch. We want to hear how to make the workshop a great experience for everyone.